A lesson in civics: What can we learn from the Baltimore youth sit in? On October 14, 2015, high school and college aged students went to a hearing at City Hall in Baltimore. The goal of the hearing was to install the interim police commissioner in a permanent post in the city. City hall hearings can be long and boring, and so why did this group of young people decide to go to the meeting? In April, Freddie Gray, a black man living in Baltimore, was killed by police. The protests that followed his death have awakened a new group of youth to modes of civic participation that they had not been involved in before. 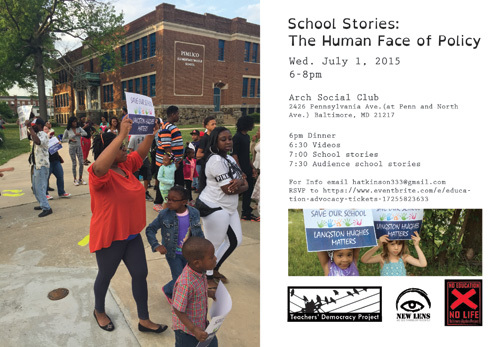 While there has been a long history of civic engagement and participation from youth, especially young people of color, from lunch counter sit ins to demonstrations to watchdog journalism, there is a new group of young people in Baltimore getting involved in issues of the day. Today in Baltimore, one of the most important issue to young people, one that they are willing to risk arrest for, is the issue of policy brutality. Black communities have been the victims of police brutality in many cities, including Baltimore, over many years, but the Freddie Gray case was a turning point. Young people have formed groups at their schools and coalitions across the city, without adult leadership, to have their voices heard on police brutality. At the October 14th hearing, they went not only to listen, but to be heard. The emotions from the spring protests are still very raw. The city and the police department have done very little to address the anger that people have over police brutality. Protests continued this fall as the pre-trial hearings for the police in the Gray case began. Again and again, young people are saying that they want reforms in the police department, to have their side of the story heard, and to see justice in police brutality cases. Adults have failed them. The mayor, the police commissioner, city council, the governor, and the state legislature. None of them have been able to adequately address police brutality and to bring justice to consistent attacks on Baltimore’s black community. Recently, a video surfaced of a police officer spitting on a suspect. This only confirmed what young people have been saying, that the police have no respect for the black community. 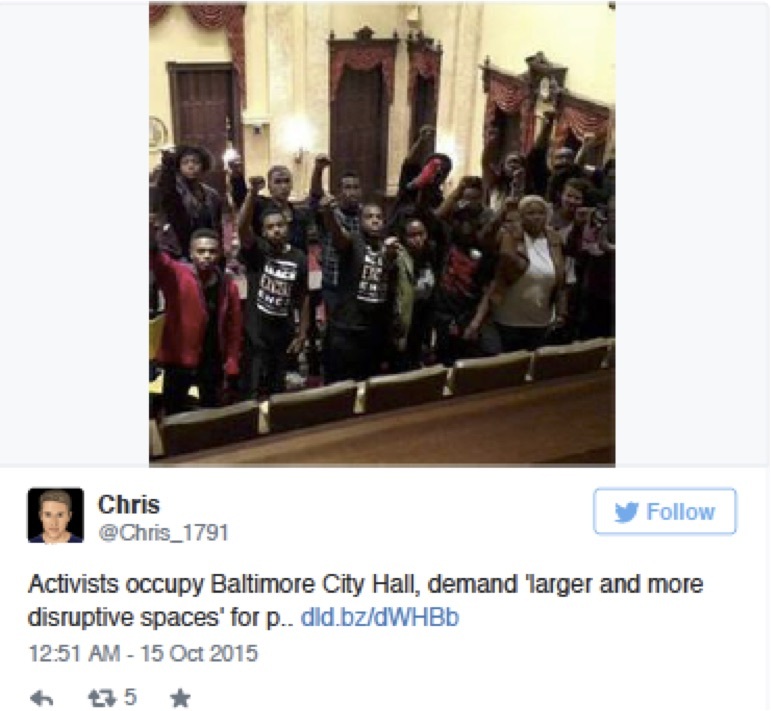 So, on Thursday night, October 14th, young people went to the hearing in city hall in Baltimore to say, once again, enough is enough. They had their voices heard by occupying the meeting, and police made arrests. Sixteen of them spent the night in jail. As they did this they were engaged in critical civic praxis. According to Ginwright and Cammarota, Critical civic praxis is focused on the civic engagement of youth, and urban youth in particular. More specifically, it is a practice in which people are “engaged with ideas, social networks, and experiences that build individual and collective capacity to struggle for social justice” (Ginwright & Cammorata, 2007, p. 693) It acknowledges “structural constraints in communities, but also views young people as active participants in changing debilitative neighborhood conditions” (p. 693). Under critical civic praxis, people “critically assess social, political, and economic structures that uphold inequality and consider collective strategies for change that challenge injustice” (Kahne & Westheimer, 2004, p. 3). Once they identify structural inequity, they may develop strategies that put pressure on elected officials to respond and undo the structures that continue inequality. Some may view these young people as angry and without a plan. Adults usually say that about young people who protest, but these young folks do have a plan. They demand police reform including an end to the use of riot gear by police, police accountability measures, and $27 million for community schools which would provide low income communities with the services that they need to support them, like day care, healthcare, food pantries, and recreation. They cannot be easily dismissed as young people that are simply emotional; these are thoughtful demands that demonstrate that they have thought critically and are willing to engage fully in the praxis to demand justice for themselves and their communities. Listen to my appearance on the Marc Steiner show on September 29, 2015, where I debate charter operators in Baltimore about the merits of a lawsuit that they have filed against the city. They are arguing for more budget transparency after the city proposed a plan to lower the dollar amount that the charters would be allocated by the city. 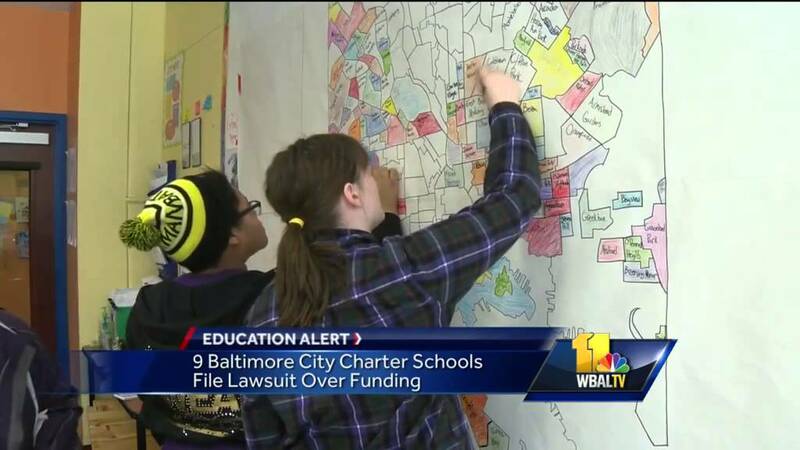 The city dropped the plan, but the charters have kept the lawsuit going. I argue that the lawsuit is a distraction from the problem of lowered funding from the state and that the governor should be the real target of protest. Moreover, the charter schools and traditional schools should be fighting together on behalf of city schools for a bugger pot of funding that the state, up until now has decreased. Just Cities: How did you get involved with New Lens? NM: In 2010, I was involved in their summer program and summer job program, which focuses on media production, networking, editing. That’s how I first got involved. Just Cities: What are some of the projects that New Lens is working on right now? NM: So right now we’re working on a big project called Blackonomics, which focuses on economic strife in situations [such as] housing, togetherness of black communities, and how to foster love and togetherness and economic growth in those communities. So we’re working on a series of episodes. The first episode is done which will be the identity episode. And now we’re working on the economic episode. And after we’re done with that we’ll be working on the housing and infrastructure episode. Just Cities: Has New Lens been involved at all with the initiatives taking place after Freddie Gray’s death or with the situation in Baltimore right now? NM: Yes, we have been focused on the movement with police brutality, initiated by the current death of Freddie Gray. We’ve been doing projects in conjunction with the Algebra Project. We’ve been organizing community meetings to talk to community residents about what’s happening, to get people involved, and get their voices heard. I am a songwriter, and so I wrote a song for the movement and for Freddie Gray. I did a video for it at New Lens. I’ll be posting that on Youtube, once it’s finished. We’re also supposed to have a film roundtable discussion with prominent people in the neighborhood, in the community: lawyers, community activists, religious leaders, people who are focused on this subject, this concept of community control, proper police interaction, and things like that. And we’re gonna film that and then hopefully create a whole film tailored around that roundtable discussion. Just Cities: I know New Lens focuses on media and production like you were saying– how do you think that has impacted the movement, being able to document things? And also I know that New Lens is also a youth driven organization, so do you think there is anything unique about New Lens and any angle it can take on this because it is led by youth? NM: I think that it’s very unique and that it is a very unique angle that we look at because we look at it through a youth lens. We look at it through the lens of young people. Young people aren’t as scathed, so they have a broader view or maybe a narrower view on things because they may not have been scathed, or if they had been that may have been the only interaction they had, bad interactions or an interaction that they felt wasn’t positive with police and government and things of that nature. We use youth from high schools so it’s more from the heart. And I feel like it’s more personal and more in the right here and right now, and not focused on the past and where politically we want to go in the future or politically where we’ve been in our history. So I think that we show and articulate a view that most people are scared to do and that most media production companies want to stay away from because it’s not politically correct or historically correct, whatever that means. Just Cities: And how do you think, for the youth that work with New Lens, how do you think that experience impacts them? NM: All the youth that we’ve worked with, and from my own youth experience, in 2010 it was my first time being in the summer program and being exposed to social justice issues and being able to articulate how I felt about those issues. For me, it made me want to do it more, it made me more excited about it and intrigued. It made me want to get involved more. And that’s what I see it doing for the youth that we mentor and that we’re working with now. It’s a gateway that will open up a door for them and open up their mindset to different possibilities that they’ve never thought that they can be a part of, or that they thought they could have a voice in. Just Cities: How can people get involved with and support New Lens? NM: So, we have a Youtube account, where we post all of our videos. Everyone can go on and view our videos, comment, give feedback and let us know what they think, what they would like to see. Also, on Facebook we post a lot of our events, so they can always go on New Lens Productions on Facebook. We have a Tumblr page under the name of “We See Things Differently” because we do, it’s not a normal view. It’s a view that most people and organizations are afraid to tap into. So, those are some ways they can get involved. Just Cities: Is there anything else you think people should know about New Lens? NM: I think that it’s important for people to know that we are youth led, that our youth come from the neighborhoods that we work in, and they are affected by all the social justice issues that are going on in society today. And that they need support, not only from us as a media production program, but from the community to support them and the projects that they do and let them know that the things that they do are good and that they should continue to do it and that it’s making a difference. Just Cities: Is there anything else I haven’t touched on that you’d like to talk about? NM: I want to talk about the work that we do with healthy eating in urban neighborhoods. We have been involved in after school programs that help young people make healthier choices. When you feel good and you’re eating good, you’re most likely going to be a more productive citizen. I want to make sure that we advocate for young people’s ability to work cooperatively in society to promote healthy eating and farming and all of those things that are so important to our society right now. I want to help in getting the word out in urban areas about cooperative economics, because during slavery and civil rights times we were more self-sufficient and once integration happened, it was gone. That history needs to be known so we can get back to that cooperative space and continue to work together to move forward in time in communities. Where are our priorities: How can we make black lives matter? 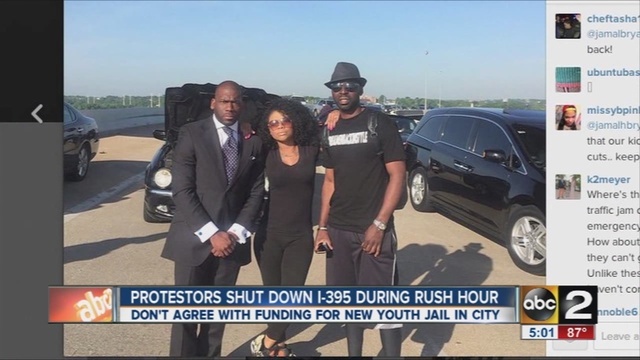 On Tuesday, May 26, 2015, about 40 protesters led by Reverend Jamal Bryant temporarily halted traffic entering the city on I-395 which is a major thoroughfare coming into the city of Baltimore. The demonstration was in opposition to Governor Larry Hogan’s recent decision to allocate $30 million to a new youth prison instead of public schooling. The new prison is meant to provide a separate detention center for youth charged as adults, who are mainly black youth, instead of a shared facility with incarcerated adults. Governor Larry Hogan’s decision only addresses a long standing complaint that youth offenders are sentenced to prison with adults. While that is certainly a problem, putting youth in very dangerous situations, it does not tackle the systemic problems that impact our society. It does not interrupt the school-to-prison pipeline which sends youth of color into the criminal justice system in the first place. This is an example where black lives do not matter in the eyes of the system. 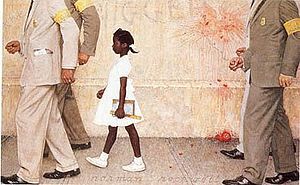 They do not matter enough to provide education instead of incarceration. It would be easy to make Larry Hogan a target, and blame him for these problems, but they are long standing. His decision reflects a legislature and a larger society that does not demand broader solutions to the problem of youth offenders, when the youth are people of color. The protests today bring attention to Hogan’s decision and raise awareness of the misplaced funds. The inconvenience of stopped traffic during rush hour is nothing compared to the problems faced by young people of color whose educational futures get derailed as they enter the criminal justice system. Simply listening to the demands made today will indicate what youth of color need: education funding, summer jobs, and recreation. If they have to stop traffic get people to wake up to that need, then businesses should be on alert: People will be late to work this summer! To learn more, please visit the provided links within the text and below, and follow activists on Twitter like @jamalhbryant.